In addition to offering affordable, kid-friendly dental services, the Victoria Pediatric Dentistry & Orthodontics team is happy to work with dental insurance providers to help patients receive the maximum coverage from their benefit plans. We want to make sure your children receive the care they need to keep their smiles whole and healthy without stretching your budget. 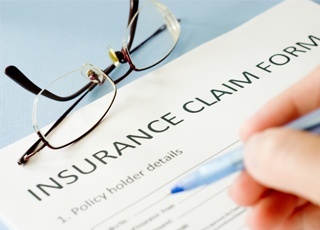 We are happy to process and file claims for most dental insurance providers, and we offer in-network coverage for a number of providers, including Guardian. If you are a Guardian dental insurance patient, let our team know right away. We’ll be happy to partner with you to maximize coverage. Please don’t hesitate to contact our Victoria dentist and team to find out more about your Guardian benefit plan or schedule an appointment with us. Preventive dentistry – including checkups, teeth cleanings, and other services to keep smiles whole and healthy typically receive 80 to 100% insurance coverage. In fact, the easiest way to maximize your dental insurance coverage is to visit our office every six months for regular preventive dental care. You’ll receive the highest amount of dental insurance benefit and avoid the need for more advanced services that receive less insurance coverage. Restorative dentistry – the more conservative the treatment the more dental insurance coverage is typically received. For instance, fillings usually receive a greater percentage of insurance coverage than dentures. In most cases, covered restorative services receive 50 to 80% insurance coverage. Orthodontics – employers typically have an option to choose whether or not their employees will receive orthodontic coverage as part of their benefit packages. When the employer does opt to offer orthodontic coverage, patients will receive 50 to 75% of the cost of treatment. 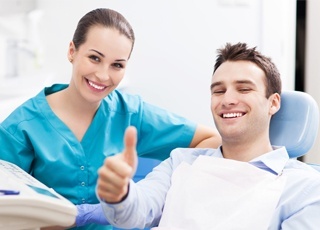 In-network dental care providers have established contracts with insurance providers. These contracts mean that the dentist agrees to charge the treatment fees laid out by an insurance provider as fair and average, and you will only ever need to pay for the out of pocket costs of your dental care. Out of network dentists may charge higher fees than those outlined by your insurer as fair, but you will need to pay the difference in cost as well as your out of pocket fees. In most cases, this difference is negligible, but working with an in-network dental care provider ensures you’ll never need to worry about even slightly higher out of pocket costs.